Winter is knocking at our door..
Spring migration is but a glowing ember in every birder’s mind. Well, beginning May 27, your Huron Fringe Birding Festival promises to fan that ember into a glowing two weekends of birds and so much more. MacGregor Point Provincial Park, on the shore of Lake Huron, sets the stage for our Festival. Our backdrop is the migratory flyway along Lake Huron, Bruce and Grey County and the rugged but beautiful Bruce Peninsula. That’s where you’ll find the birds and so much more. Hikes, workshops, nature photography, field sketching and journaling, presentations, wildflowers, our Family Weekend, and a lot more all led by leaders you’ve come to know by name and some knowledgable new faces as well. You wont want to miss our banquet and keynote speaker’s presentation “Lust and Domain: An Exploration into Why Birds Sing”. We’ll be going back to Flowerpot Island for orchids, caves and birds. And this year we’ve added a trip to Chantry Island. Those who enjoyed ‘The Bruce Re-Beckons’ last year will be happy to know that it is back – along with an additional ‘The Bruce Re-Beckons – Part 2”. 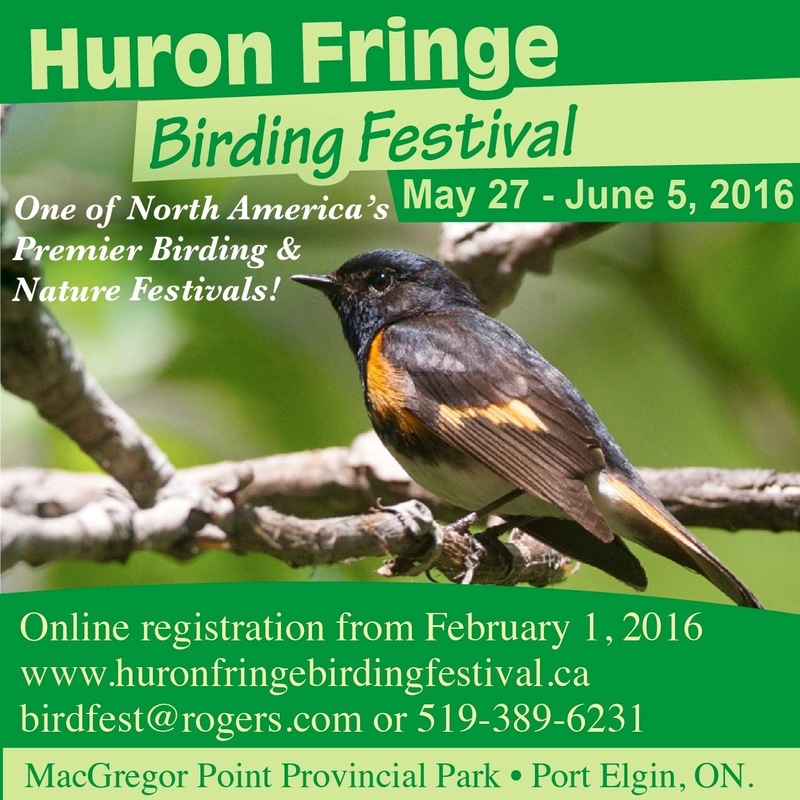 The schedule of events will be available for viewing on January 5, 2016 at: http://www.huronfringebirdingfestival.ca. On line registration begins February 1, 2016. So take note. Some events have been know to sell out in the first few days.